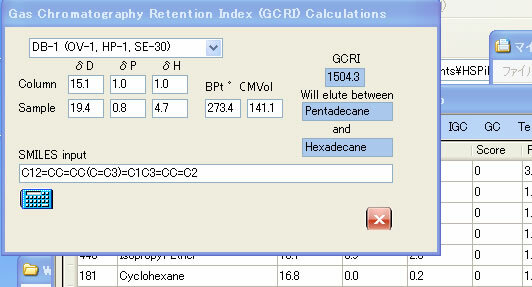 HSPiP version 3 have function to estimate Gas Chromatography Retention Index (GCRI). 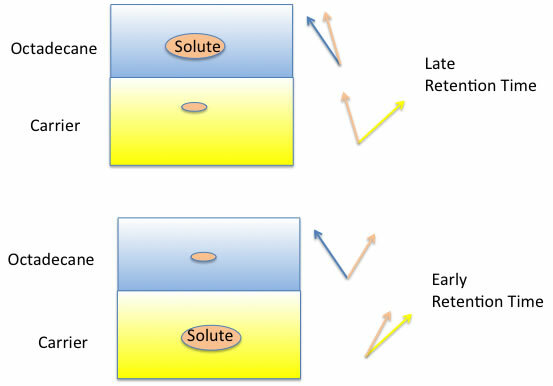 GC retention time is depend on column length, oven temperature, carrier speed, so it is not predictable. 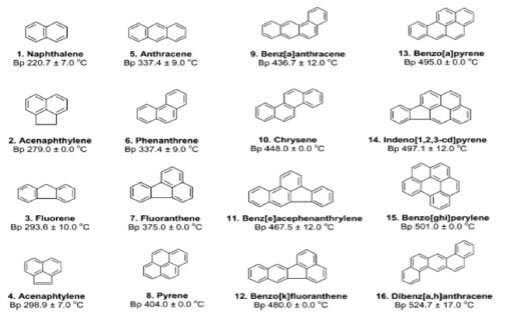 I found a very interesting paper refer to GCRI for polycyclic aromatic hydrocarbons. I got 17 compounds' GCRI. Only what you need is smiles notation. Run HSPiP ver.3 and choose GC from menu bar. 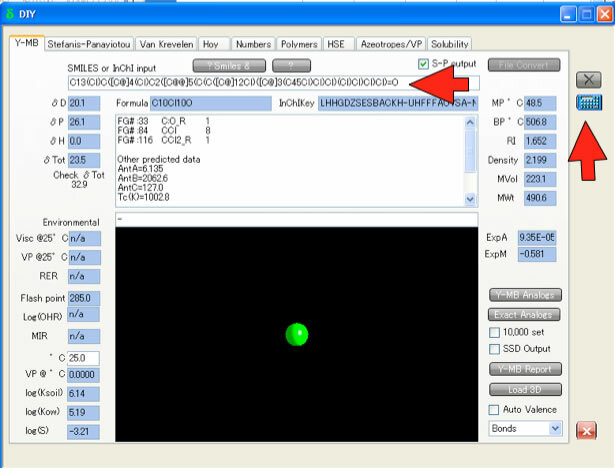 Copy smiles and paste it to text field and push calculator button. 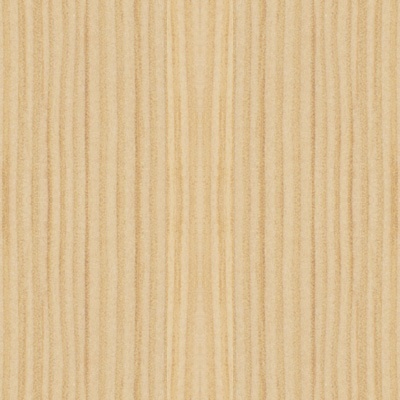 You will get GCRI value. 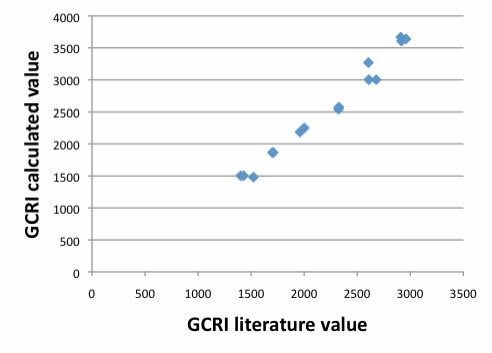 The absolute value is not good for especially large molecules, but from only structure information, we can estimate GCRI. This would be very powerful tool. 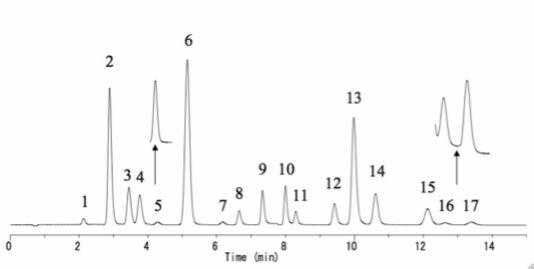 I also got HPLC data for PAHs. 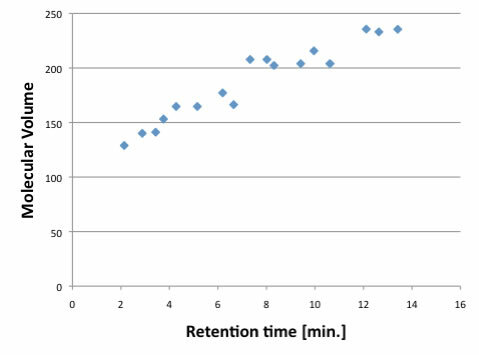 I do not know the reason, but retention time and molecular volume have very strong correlation. 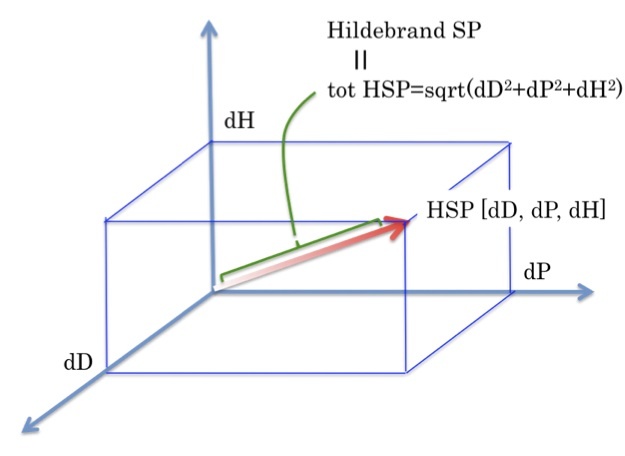 HSP of these molecules are almost same, so solubility to ODS is almost identical. They separate with just size.